SINGAPORE - Imagine a girl in a blue dress and a leg brace, with a teddy bear in one hand and a donation box in the other. Sounds familiar? You are likely thinking of Suzy, a life-sized doll that collects donations for the Cerebral Palsy Alliance Singapore (CPAS). CPAS recently started a campaign till the end of December, asking the public to share their memories of Suzy or snap a picture of themselves with the doll. The dolls are placed at more than 30 shops islandwide. Here are some other charities' donation boxes you may have come across. 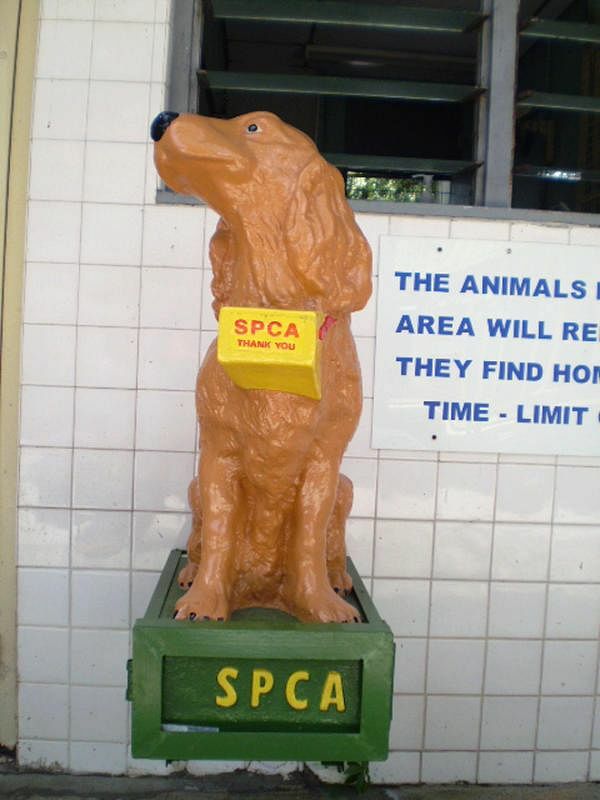 The SPCA has donation boxes in the iconic shape of a golden retriever as well as counter-top boxes. There are over 50 doggie donation boxes placed at supermarkets, veterinary clinics and other places now. SPCA collected about $145,000 from its doggie and counter-top donation boxes in its financial year ending in June this year. 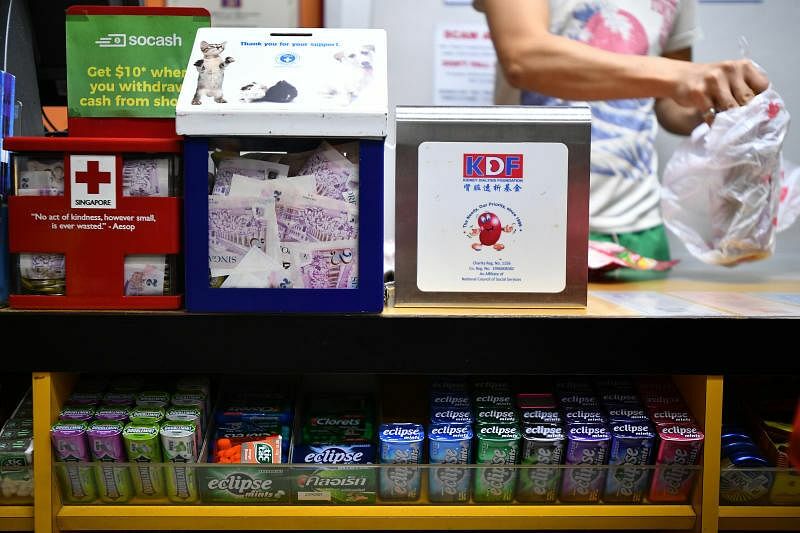 Singapore Red Cross said collections from its donation boxes have fallen in recent years. It collected $3,181 from 18 donation boxes in 2017, down from $4,533 from 11 boxes in 2012. After increasing the number of boxes it had to 77, compared to 50 in 2012, KDF has seen an increase in donations. It received $31,000 from its donation boxes this year, almost double the $17,000 or so in 2012. The boxes have also been designed to be more eye-catching. The TAA Trust Fund was founded in 1992 to help the poor, needy and the less fortunate. This includes patients from low-income families who are suffering from chronic diseases and illnesses such as kidney failure, stroke, cancer and diabetes. 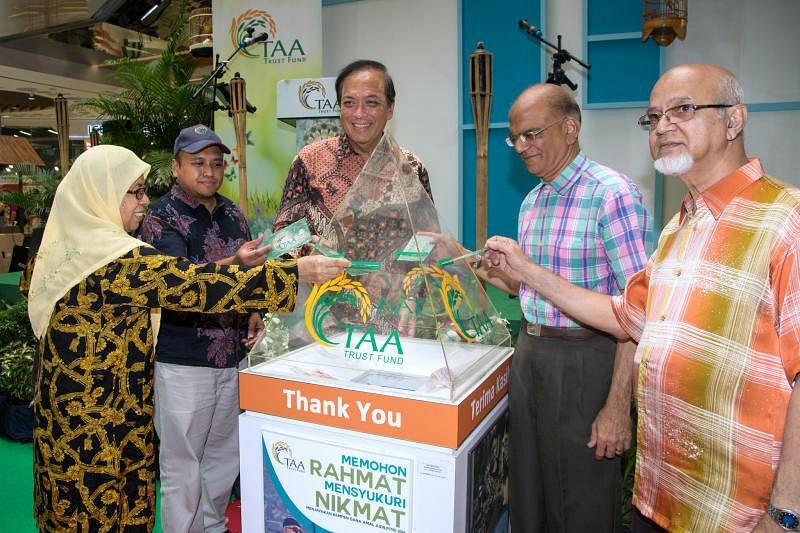 During the Ramadan period, TAA has 60 donation boxes located around Singapore. Outside the fasting period, it has 10 boxes, including two at Arnold’s restaurants in Hougang and City Plaza.